My good friend Rudy introduced me to this guy. She knows me and she knows my humor. I don’t like to curse, so let’s just say, HOLY CRAPOLA (!) 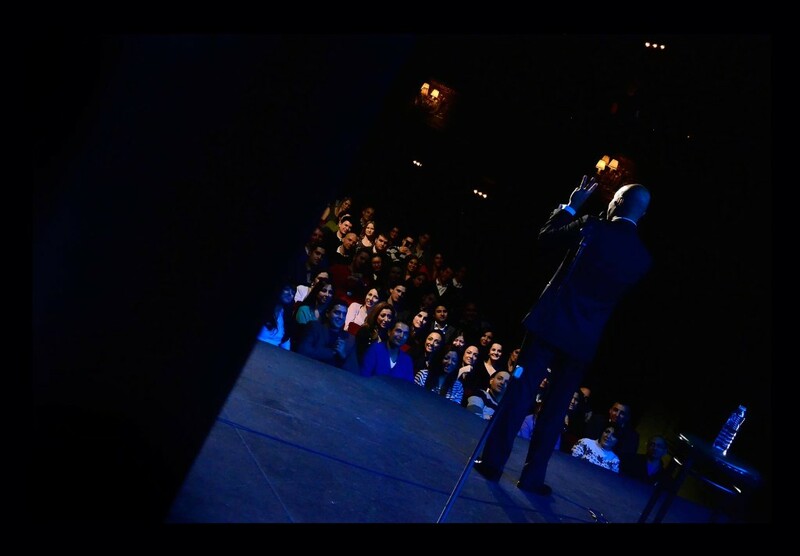 , this MAZ JOBRANI guy is funny! He’s a Tehran born, California bred, UC Berkeley educated comedian — mostly known for his stand up hilarity focusing on race relations and inevitable misunderstandings of being a Middle Easterner in America. He, alongside Ahmed Ahmed, centered their entire comedy group “Axis of Evil” around these topics, touring the world. Rather than playing the victim, these guys used society inflicted stereotyping and racism as their neverending supply of jokester fodder. Jokes aside, this guy plays a crucial role in the revolution of race relations. Instead of preaching to the choir or militantly barking at the uneducated knuckleheads, he breaks stereotypes through his comedy. He makes the message palatable and accessible — and he provides a public platform for those similarly situated. He does what Tom Morello does with rock and what Toni Morrison does with prose. Politics and realities are illuminated to the greater mass because of the packaging. That’s a talent. 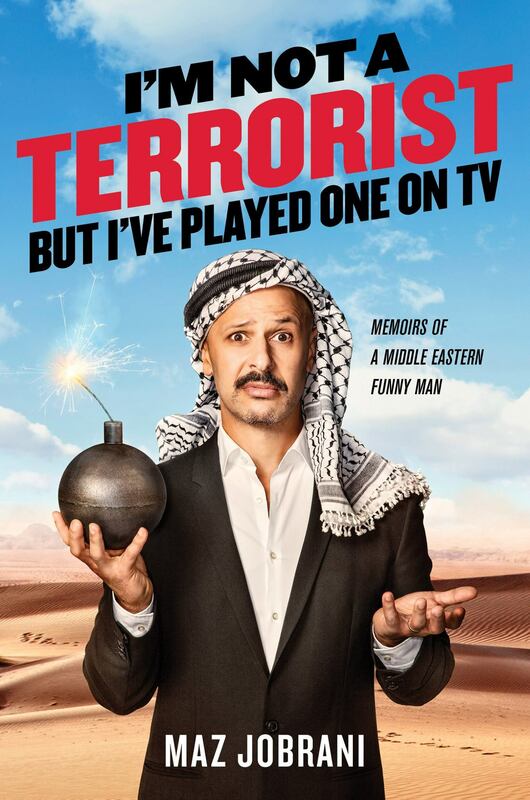 He has a bestselling book out now which can be purchased in bookstores or Amazon called “I’m Not a Terrorist, But I’ve Played One On TV: Memoirs of a Middle Eastern Funny Man.” He discusses his hilarious (in retrospect) childhood, his foray into Hollywood (being auditioned solely for not-so-coveted kebab eating extremist roles) and other American stories that make him who he is today. This guy has become quite a role model, intentional or not. 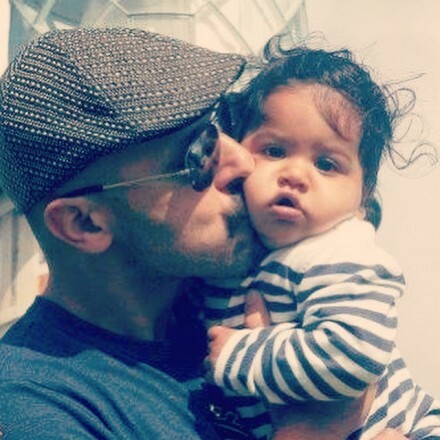 This is a good thing since he’s now a dad. I sought Maz Jobrani’s guidance on parenting, particularly with regard to how he plans on raising his children and the values he hopes to instill — and the methods he and his wife intend to implement to grow their children into adults who are proud of their heritage and culture. They’re inspiring words and he keeps it fun. What are your 3 tips on raising your children into successful adults…. And how would you define successful? Thanks for reaching out and Go Bears! I define successful as being good people. It’s not about fame or fortune. It’s – are they good people? I try my best to instill good values in them every day. 1) Appreciate what you have. I remember when I was a kid my grandmother told me that if I see anyone who’s less fortunate than me, I should look to the sky and thank god seven times. (I think it was some Muslim thing.) So I would be in the back of the car with my mom in the streets of Tehran which is a bustling city and I would see all of these unfortunate people – crippled, poor, blind, etc. and I would just be looking up at god the whole time thanking him for what I had. I didn’t become very religious, but it did teach me to appreciate. So I try to instill that in my kids by showing them the less fortunate and telling them to appreciate what they have. 3 ) Always make your bed. I’m really trying to instill this in them so that they remain clean and organized. I’ve told them a little about how it’s bad Feng Shui to leave your room dirty. I think that if they are organized it will help them in life. Do you find your children encountering the same issues of growing up ethnic, particularly as Iranian/Indian-Americans, as you did as a child? No, it’s a different world for them. First of all, I came from Iran so I came from a foreign culture. My mom used to dress me in fancy little clothes she’d bought in England and it made me feel different in the US. My parents didn’t speak English that well when we first came here so that was mortifying as well. My kids are very Americanized since they were born here and have grown up here. For me, the struggle is to keep them informed about me and my wife’s cultures. The other thing that’s different for them is that we live in LA and it’s a very mixed place. My son has some very close friends from mixed marriages. Where I grew up in Northern California it was very white. I think that being mixed is more common these days, especially in a place like LA. So the main issue is trying to instill the Persian and Indian culture into these kids. We often do it with food and grandparents. How do you intend to raise your children as individuals who are proud of their heritage and culture? I’m trying my best to teach them some Persian. It’s really hard to do with all that surrounds them. I wish there were a Persian immersion school I could’ve enrolled them in when they were younger. There’s a great one in Berkeley called Golestan, but we don’t have a good one in LA. In the meantime, I just try to feed them Persian food when I can and speak to them in Persian when I can. They know some words, but not a lot. I’m hoping that as they grow older I can teach them a bit about the history of where my wife [and I] come from. I would like to take them on trips to Iran and India as well. What are your GO-TO things to do with your kids? sports, books?.. With my son – soccer is a big thing. He also does tennis. But I try to emphasize [to] him that it’s not all about sports. He likes math and reading too so I encourage him to do that as well. My daughter loves to sing — so anything with music. If they’re passionate about it, I’m all about helping them do it. They also love movies so I go with them – sometimes it’s a good movie so it’s fun for me too. Other times, I just check my e-mail while they watch. That’s it for now. Thank you, Maz for making the world a better place. Now, be funny. ..and for all your readers, go GET HIS BOOK! + AND NEXT: Stay tuned for parenting interviews on rad dads, SIR SIDNEY POITIER, TOM MORELLO and DR. HARRY EDWARDS in the coming weeks.